Fantastic Ranch-Style Home in Loveland! Fantastic 3 bedroom 2 bathroom ranch-style home at 205 W. 50th St in Loveland’s popular Ranch Acres neighborhood. Boasting a large kitchen, separate dining area and spacious living room with a wood-burning fireplace, this home has a great balance of updates and vintage charm. Your new home sets on over a quarter acre lot with a huge yard and large shade trees… not to mention two storage sheds, a sprawling wood deck and fire pit. Oversized two-car attached garage. A great home at a great value! 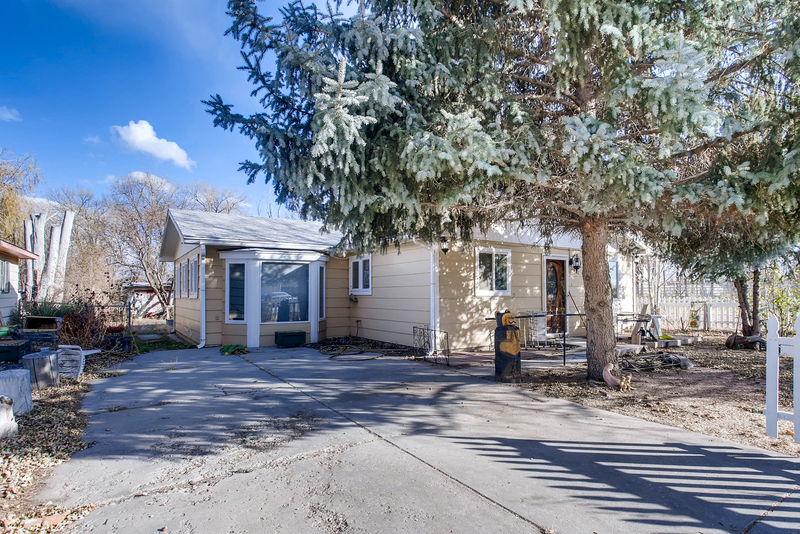 Call Jon Holsten for your private showing at 970-237-2752 or click the link below for more details.